I am writing this from a place called Peaks of Otter, en route to Lynchburg, Virginia, where I’ll spend the month of April as Anne Spencer Poet in Residence at Randolph College. From the open door of my hotel room, where I sit dodging the wind, I can watch the sun glint and sparkle in thousands of refractions on the rippling lake, here in the Blue Ridge Mountains. On this late afternoon, the light has that brilliant clarity yet softness in which shadows begin to lengthen that my mother always told me painters love best. In the V made by Sharp Top and Harkening Hill across the lake, clouds gather. Leafless trees cover the mountains. Sunlight shines through them along the ridges, and sunlight paints the branches of the two trees immediately before me, right at the edge of the water. It’s dizzying, nearly, this light, and the gusty wind that blows the water from right to left across the lake, the sunlight pooling like diamonds, and then dispersing so that to my left once again the water darkens. Now a cloud has come before the sun. And now the sun burns through the cloud. And the wind rises. 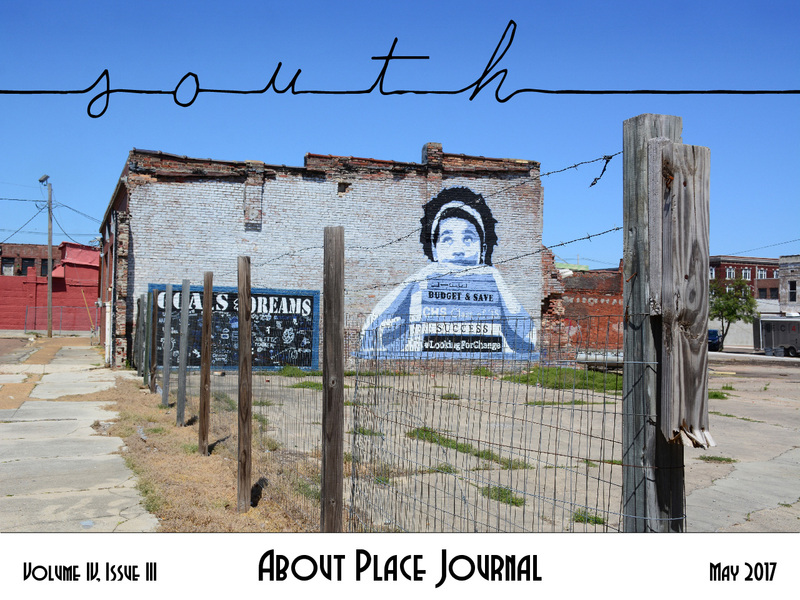 This is the best way I can describe the experience of editing the “South” issue of About Place. I’ve lived in the South for thirty-five years, and in Mississippi for more than twenty-eight, yet I grew up in California and continue to travel a lot, so people sometimes ask me what it’s like “down there.” I’ve come to discover that just about anything I could say about the South would be true. Yes, but… Yes, but, I find myself saying whenever I try to come up with a generalization. It’s like the light and water on the lake: all sorts of dazzling and dark, and constantly changing. The South suffers from severe environmental degradation that cannot be separated from its history of poverty and racial oppression. We have much in the way of social and environmental justice to fight for. Yet the region also possesses great natural beauty and a rich and complex culture, interwoven from the many voices that have made up its identity. The poems, prose, and visual art collected here speak in all their different ways to this variety. There are as many Souths as there are experiences of the South: elegant, rough, decorous, wild, cruel, tender, excluding, embracing—full of life in its flavor, its gritty particularity. I am especially proud to include a portfolio of writings by the men I taught during the fall of 2016 at Parchman, the notorious Mississippi State Penitentiary. For many of these men, this is their first publication. Please, as you read their work, join me in wishing them a path forward in a hard time. Thanks so much to Michael McDermott, Jesse Hughes, and my assistant editors Derrick Harriell and Laura-Gray Street, for all their help putting this together. I hope you will enjoy reading and looking at this issue as much as I have enjoyed bringing it to you. Ann Fisher-Wirth’s fourth book of poems is Dream Cabinet (Wings Press 2012). Her other books of poems are Carta Marina, Blue Window, and Five Terraces. With Laura-Gray Street, she coedited the groundbreaking Ecopoetry Anthology (Trinity UP 2013, 2014). She has been awarded residencies at The Mesa Refuge; Djerassi Resident Artists Program; Hedgebrook; and CAMAC/Centre d’Art, Marnay, France. Her current project is a collaborative poetry/photography manuscript called Mississippi with the acclaimed photographer Maude Schuyler Clay, which Wings Press will publish in 2018. Photographs and letterpress poems from this project are presently on exhibit throughout Mississippi. Ann’s poems appear widely and have received numerous awards. 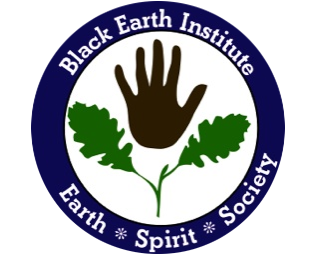 She is a Fellow 2015–2018 of the Black Earth Institute, the recipient of two senior Fulbrights (Switzerland, Sweden), and past president of the Association for the Study of Literature and Environment. In April 2017 she was Anne Spencer Poet in Residence at Randolph College, Lynchburg, Virginia. She teaches and directs the Environmental Studies program at the University of Mississippi, and she teaches yoga at Southern Star in Oxford.